How does one explain something which is not seen? When the mind feels most comfortable and at home with things that it understands? 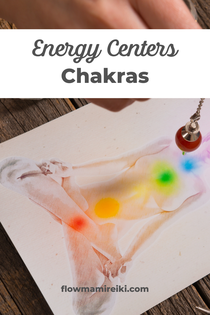 Most of us know or have heard of Chakras - Energy Centers. Also known as Wheels of Light, these Energetic Centers at times find themselves in states of stagnation -not ‘spinning’ at their top form. A Reiki Session focuses on assisting these Energetic Centers to be come back into their highest/best function. When confronted with questions from someone who is interested in what I do, I often explain to the them: Reiki is like a ‘massage’ for your energetic body, the one which we don’t ‘see’. When you stand next to someone and can ‘feel’ them without touching. This energetic body which is all around your physical body, also needs care, just as your physical, and mental bodies. Reiki Sessions can be hands on while the recipient lays before the practitioner, or can be sent psychically, through visualization and intent. Traditionally accepted that our present, western version of Reiki, was brought to us by way of Japan, during the late 1800’s. Mikao Usui is known as the founder of Reiki, the one who made this present day version available to us. Having set out to understand ancient arts of healing, at the end of 21 days of meditation and fasting he ‘received’ Reiki. It follows that he received certain Symbols and the understanding of how to use them, in order to activate healing in the recipient. 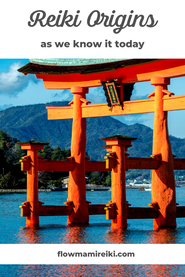 For many years he conducted Reiki, in Kyoto, Japan and later began lecturing throughout Japan. It is said that he went on to teach a little less than 20 Reiki Masters, who also went on to teach others. One of these initial Reiki Masters is known to be Chujiro Hayashi, who created a clinic in Tokyo. A child of expat Japanese parents who lived and grew up in Hawaii, Hawayo Takata found herself returning to Japan as an adult - visiting her parents who had by then moved back to Japan. Because of various health issues, events lead Hawayo Takata onto a quest of her own healing. During her time in Japan, she visited Chujiro Hayashi’s clinic in Tokyo. After her stay at the clinic and experiencing her own healing, she went on to learn Reiki herself. Eventually returning to Hawaii, she also opened up her own Reiki clinic. Chujiro Hayashi visited her in Hawaii, and then taught and attuned her as a Reiki Master/Teacher - also making her his next-in-line. In the beginning, he did not want to teach her (because Hawayo Takata lived in Hawaii, not in Japan). Thankfully he did, because it was largely through her that Reiki was brought to Western Society. At that time, the early 1940’s, had the teachings of Reiki remained in Japan - it could have easily have been lost, through the unfoldment of World War II. Hawayo Takata went on to teach Reiki, as well as initiate Reiki Masters/Teachers. In learning Reiki, there is often much importance stressed on the Lineage. From who can a Reiki Master/Teacher trace their lineage, the version of Reiki that they have learned and are conducting and teaching. At the same time, there are presently many versions of Reiki which now exist, with different titles following ‘Reiki’. In my eyes, there is nothing wrong with new versions being created. I do believe that these are different times than the times of Mikao Usui. Perhaps even considering as well that different locations, countries, people are in need a version that is different than what exists somewhere else. But there are some who believe that the teaching of Reiki should remain as close to the initial, traditional teachings as possible. In this case, I am thankful that my Teacher was able to pass onto me and teach me in accordance with Usui Shiki Ryoho, which is honored and traced back to Mikao Usui. For myself personally, I always felt at home with using my hands. I created gifts and cooked from my heart, through my hands. I held and nourished my children from my heart, through my hands, when they needed comfort. When I was younger, I had also wished to become a massage therapist. On my journey towards Reiki though, I was just beginning to embark on a new path of self discovery, and self empowerment. I found myself asking myself what my wish, deep down inside was. The answer was to work with others. The way that Reiki came into my life was a mixture of ‘coincidental’ circumstances and my inner push to do my part. At first, I did wish to learn Reiki for others. So that I could help others. But actually, my journey of learning Reiki made sure that I began to help myself - first. I think it’s most important to realize that everyone will have a different reason as to why they decide to learn Reiki. 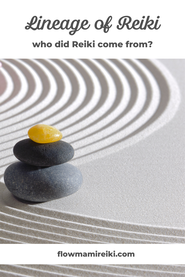 This is a good question and one that I did not want to face when I first learned Reiki. As I began to learn Reiki, I also vowed to myself that I would only learn it to become a practitioner. I made no plans to become a teacher. It wasn’t until about a year later that it suddenly came to me: Teach. At that moment, I found myself feeling excited about it. I knew, that yes, it was time. Contacting my teacher, I was able to take my Reiki experiences one step further. Being able to teach and pass Reiki down to others is, in my eyes one of the best tools towards self empowerment. It’s being able to teach others how to provide energetic self care not only to themselves, but also to their loved ones. It’s moving past any forms of dependency on a therapist, practitioner, or teacher and handing responsibility back to the receiver/student.